We decided to take advantage of some cheap flights to the South Island and have a wee roadie. Just four days. This is the sort of thing you can see on a short road trip in New Zealand. 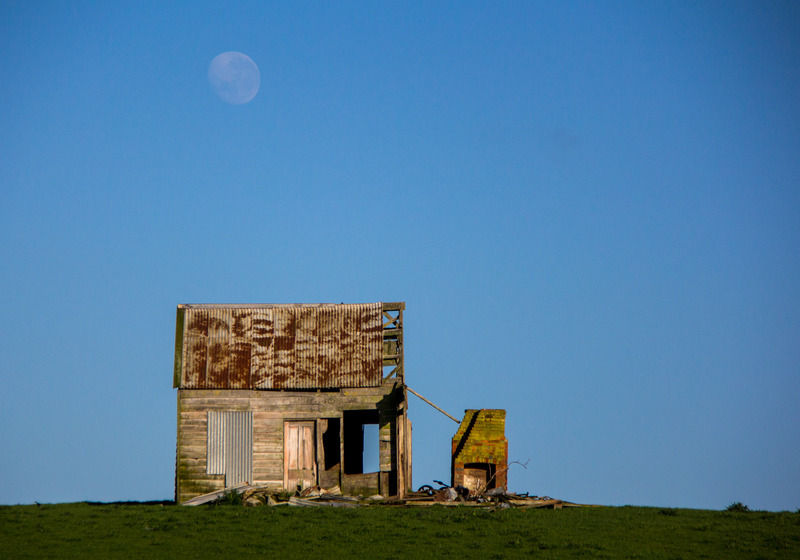 Four easy days driving in the Central South Island. Christchurch, over Arthurs Pass to the West Coast. 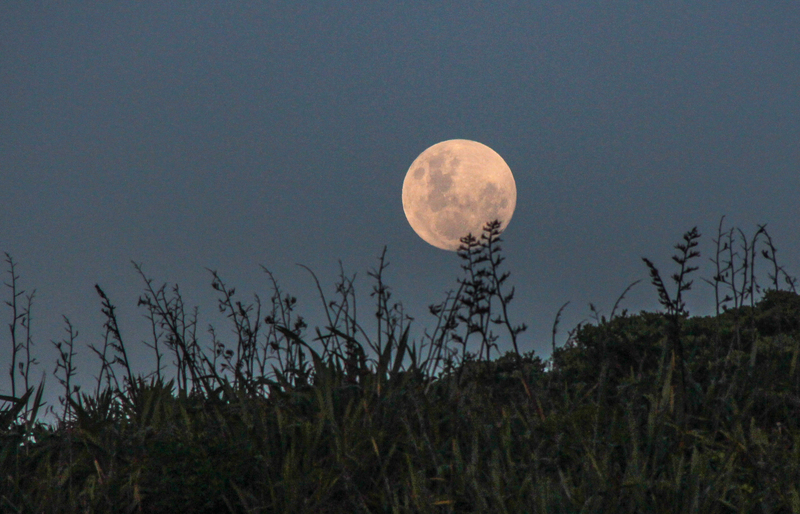 Night near Hokitika. South via Franz Josef and Fox Glacier, night at Fox for the Lake Matheson early morning shot. South to Haast Pass drive through Mackenzie Country for a night at Twizel. Aoraki/Mt Cook national park is only a short drive from Twizel. On to Geraldine for a night then easy drive to Christchurch and home. Basically this is a reasonably low cost long weekend away. Thursday through to Monday. We are very lucky to live here in New Zealand. Lucky As! Probably the best morning conditions ever at Lake Matheson. Costs? About $200 for two return flights, Palmerston North to Christchurch. Rental car was about $250, Plus about $125 per night on average, motels and AirBnB. Basically about NZD $1000 plus food and drink, Pretty good I reckon. I was looking at my photography blog and realised I hadn’t put a post up for a while. I was also considering the rubbish weather we have had over the past few weeks. I seem to remember the sun coming out, and staying out all day one Saturday. For no good reason I decided to create a new post about one of our most iconic mountains. I titled this ‘The Lonely Mountain’ because Mt Taranaki occupies a place all by itself, far from other mountains. There is a Maori legend you might like to look up about how Mt Taranaki got all the way over to where it is, so far from the other large Volcanoes in the North Island. Mt Taranaki is actually a live volcano but it’s last activity was in 1860. It’s a pleasingly symmetrical mountain. A nice photo of some Geese and Ducks in Lake Mangamahoe, with extra Mountain for effect. The Te Rewa Rewa Bridge is quite famous for looking like a Whale’s skeleton or something. On a clear night you can see for miles. About 200 kilometres in this instance as this image of Mt Taranaki was taken from the Central Plateau. Road trip, the road less travelled. Like the earlier photo of Mt Taranaki really far away, this is farther. About 230 kilometres from Himatangi Beach. They don’t make that anymore. Cardiff. True story, not the Welsh Cardiff though. That’s also really far away. I just can’t remember where from. I like a nice barn in my photos. Hydrangeas but not in anyones garden. Opunake side. So there you go. Epic Symmetrical live volcano, all by itself in Taranaki. Mt ‘Naki, as I like to call it, which is probably frowned upon by those who value pronouncing things properly, is mostly covered in cloud, so this lot took a while to accumulate. The mountain actually makes it’s own clouds. You’ll see that happening while you are driving around looking for a good place to take it’s picture. One of the great things about New Zealand is all the awesomeness, everywhere. In many countries you have to travel to see cool stuff. Get in a vehicle and make a special trip. We have that awesomeness everywhere. Right there beside the road. Part of my photographic ‘thing’, is that none of the photographs I take require any special equipment or even robust footwear. All the photos on this blog were taken near the side of the road except the one where I went for a bit of a walk. Theoretically you could take any of these photos with your phone camera while wearing a pair of jandals. All I did for each one of these shots, is pull over as I was driving past. We see this stuff on the way to the shop. Old cottage and Macrocarpa trees, we have a lot of derelict cottages about the place. Clean green New Zealand, get’s a bit dry in the summer sometimes. This is Hawkes Bay. Looking South from Te Mata Peak. You can drive up there. Almost good enough to eat, but I think they make beer with this lot. The Clydesdale War Memorial Hall, Manawatu. I don’t think it sees too many parties anymore. Sheep know a shady spot when they see one. Well most of them do. Rail bridge over the Ohau River looking towards the Tararua Ranges. This is a common sight in NZ. Rail bridges of this type that is. The Tararua Ranges aren’t a common sight unless you are in the vicinity. That’s where Hawkes Bay starts. Looking North from a prominent view spot. Misty Mountains, that’s not their name though, they just are sometimes. Whanganui River Valley. One of the best drives in New Zealand. Almost nobody goes up there. Bit of driftwood in the Foxton Estuary. Looks a bit moody. I like an old corrugated iron shack as well. This is at the end of Heights Road. Nobody goes up here either. You can walk into the Tararua Ranges from the end of this road. Remember I mentioned being on the way to the shop? This was on the way to the shop. Cows and mountains. Perfect photographic combination. Well one mountain. That’s Mt Ruapehu. Down on the beach, Himatangi Beach. This is about 200 metres from my front door. It can be quite scenic in the evening. This was a while ago, bit of snow there on the Ruahines. This scene appealed to me. That’s the main New Zealand rail line. Just there. Pastoral, this is also on the way to the shop. Clothes shop rather than food shop, but a shop nonetheless. Taken a couple of paddocks down a few days earlier than the last photo. The one below. I like a fetching paddock scene. Dairy cows in Manawatu. Making milk. Looks a bit like a painting this one. It isn’t though. Most New Zealanders simply pass by this stuff everyday, taking it for granted. I am constantly amazed at the natural beauty, wilderness and amazing pastoral imagery all around me. Maybe you have to go away for a while to appreciate it here. I know I view New Zealand differently since I’ve been back after so long away. My happy place is in my car, on the road. I love driving around New Zealand as often as possible. If things are a bit dull around the house, I’ll go for a drive. 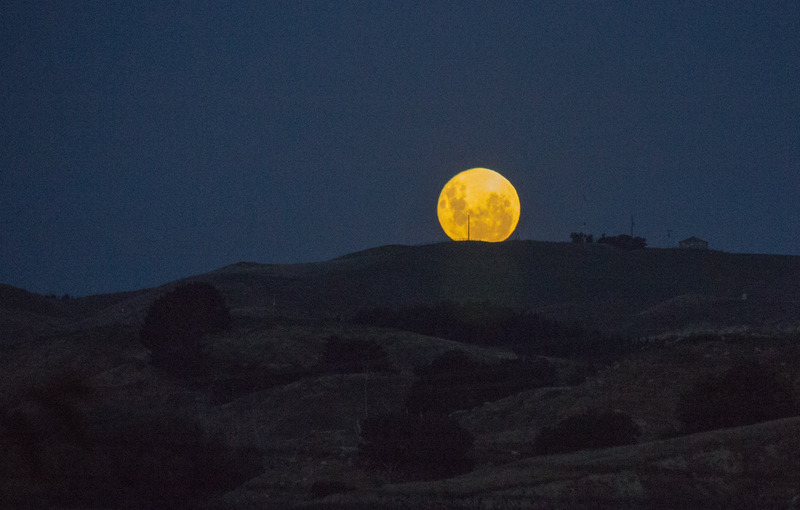 I don’t have to go far to see epic things as luck would have it because I live in New Zealand. Epic is just around the corner. Last week I went for a slightly longer drive. Down to Christchurch, over Arthurs Pass to Franz Josef, down to Lake Matheson, up to Westport and back to Picton via the Buller Gorge and the Marlborough Sounds. This was my delayed Christmas holiday. I took a few photos along the way. Sinclair Heads from Cook Strait. That’s the last bit of the North Island you see as you cross to the South Island. Looks like someone’s in trouble. Seals in Kaikoura. The Road into Arthurs Pass. Arthurs Pass Highway. It’s a bit barren up there. A lot of tourists though. There are only 3 roads that cross the South Island. This is the middle one. The amazing Waimakariri River Valley at Arthurs Pass. Mid summer. Bit of rain must be due? Glacial Water in the Whataroa River. It’s very cold. That’s where the White Herons nest in New Zealand. Just there. Only that little bit of forest, nowhere else. It’s quite amazing really. When I say that bit of forest. Just that little bit there. That’s all of it, their entire nesting area. Young pair of White Herons. Lake Matheson in the pre dawn light. The clouds rolled in and covered up the mountains quite quickly. So you only get a shot in the dark on this particularly day. Lake Matheson with Mt Cook visible in the gap in the clouds. Mt Cook is Aoraki, the cloud piercer. True story, see? That’s the ‘West Coast’. Near Punakaiki Rocks. The entire West Coast of New Zealand is the West Coast, but this bit is called the West Coast. Looking north up the West Coast. It’s rugged and remote. I like it here. Buller Gorge. You can probably fish in that. The Buller Gorge. Better than the Manawatu Gorge if anyones asking. This is Te Mahia Bay in the Marlborough Sounds. It’s nice here. Crossing through the Tory Channel from Queen Charlotte Sound into Cook Strait. So that’s just the top half of the South Island. I didn’t take any photos of the Kaikoura Coast on the way down apart from the seals as I have a load from the last time I was there and the sky was pretty gloomy on this trip. Bonus seals though. Happy travels…Just watch out for tourists paying more attention to the scenery than the road. There were two things that weren’t going to happen today, but both did. I wasn’t going to go for a walk in the rainforest and I wasn’t going to create this blog post. One thing pretty much lead to the other. I’m putting this post up though, because it is kind of amazing and I’m quite pleased with how some very hard photos to take turned out. First things first. How did I end up in the rainforest? Well it’s not really a rainforest, this is simply a decent sized piece of New Zealand native forest, or ‘bush’ as we call it. The bush is a stand of coastal swamp forest not far from where I live by the sea. The thing here is that I was simply on my way to the shops, a small supermarket in the next town on a Saturday morning and thought I’d go for short walk beforehand. This is one of the many reasons I love New Zealand. The distance from my house to the shops is just 10 minutes by car. I parked up at the Omarupapako Scenic Reserve which I hadn’t even noticed before despite driving past the signs several times a week. Then I walked in….It was like walking into Jurassic Park. It’s very hard to take photos of the forest when you are inside it. The darkness means having to have the ISO setting up to as high as 800 at times with a shutter speed as low as 60 and the aperture down at 5.6 or lower. I spent about 2 hours walking through this extraordinary forest. Only a few hundred metres from the sea. I live by the sea remember? The bird in the photos is a Fantail. A fast moving, small and characterful New Zealand native species which rarely sits still. Almost impossible to photograph in the deep forest on the settings required to cast any light into the camera. So I was thrilled with how these turned out. Enough words. The way is clear, and easy to follow…. Well when I say easy to follow…. 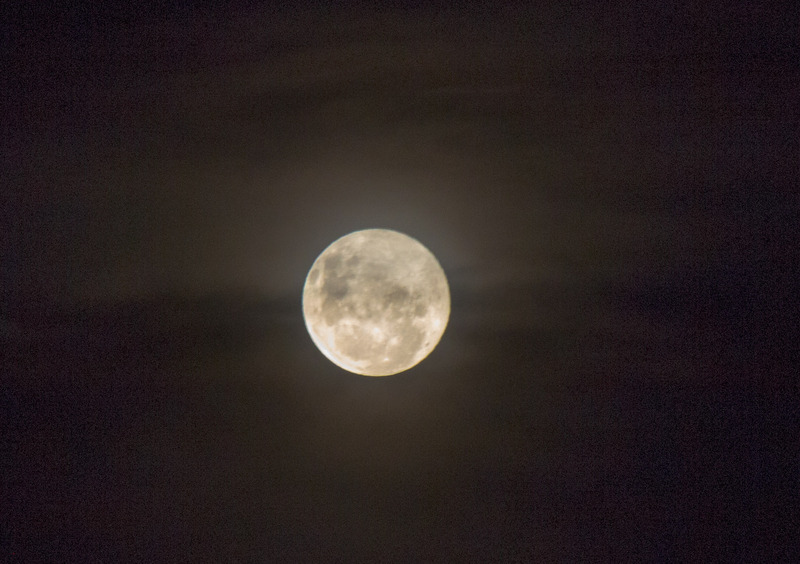 Like a lot of people, I like to take photos of the moon. Not just the moon though, the moon with other stuff in the photo. Otherwise it’s just a photo of the moon. 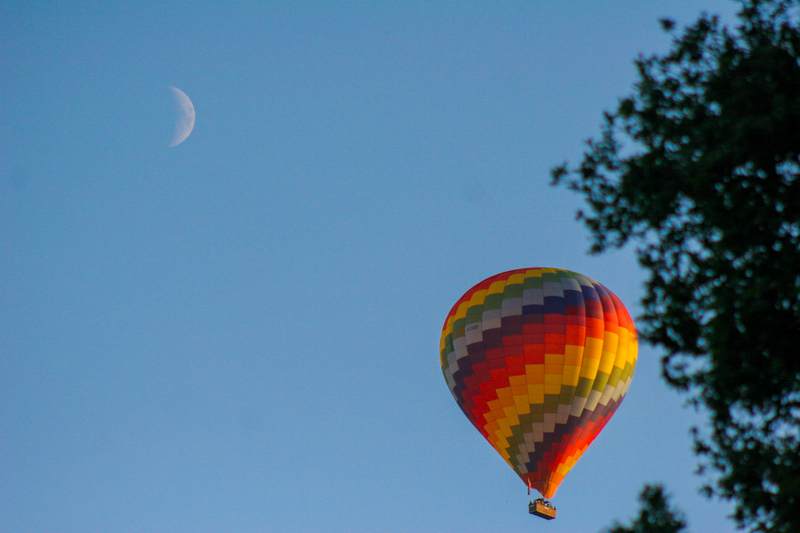 I don’t have the high powered telephoto lens to get the close up shots, nor am I an Astronaut. I also don’t do astrophotography. 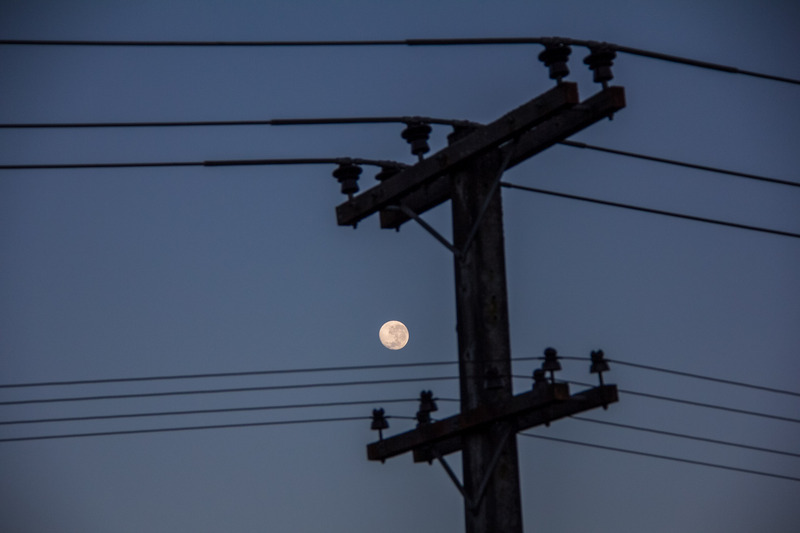 I just like to try to get a nice snap of the moon when it’s showing off a bit. No point giving too much explanation with these photos as is my usual thing. Each one is a photo of the moon, with some other stuff in the frame. I’ll just tell you where I was when I took the photo. 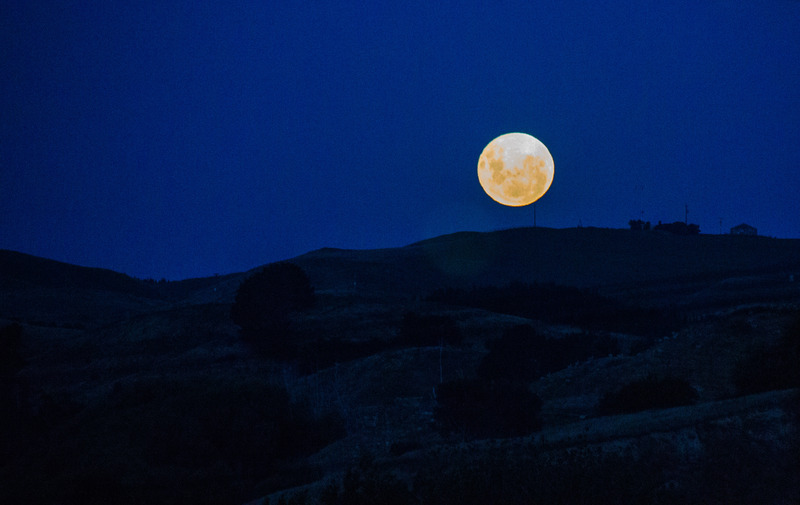 Oh, and it’s harder than you think to photograph the moon. None of these were taken using a tripod. So there. The moon, way up there, I know. But it’s a big sky. 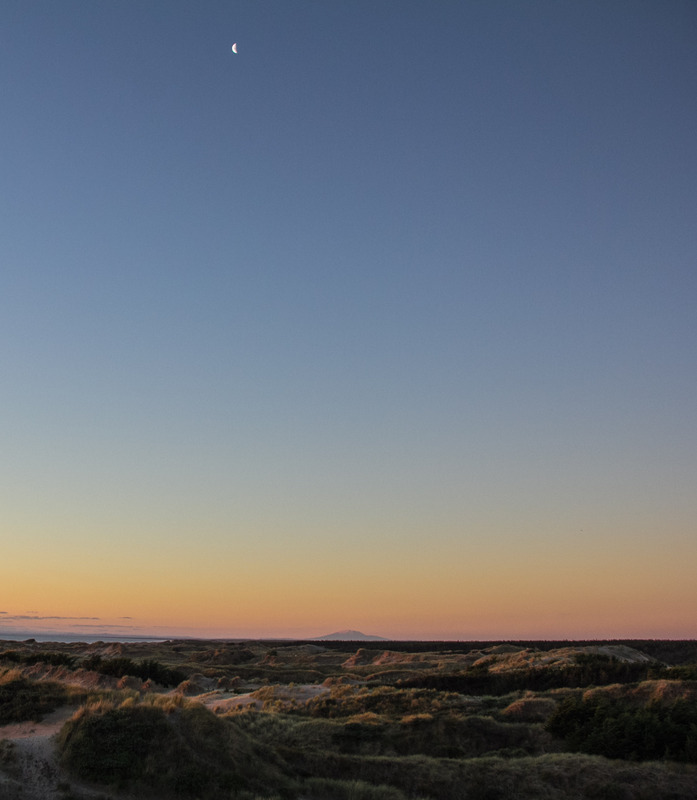 Foxton Beach. Mt Ruapehu 230 kilometres away on the horizon. The moon is farther. I got out of my car to take this beside the road. The road being State Highway One in the Rangitikei. Not a blue moon. 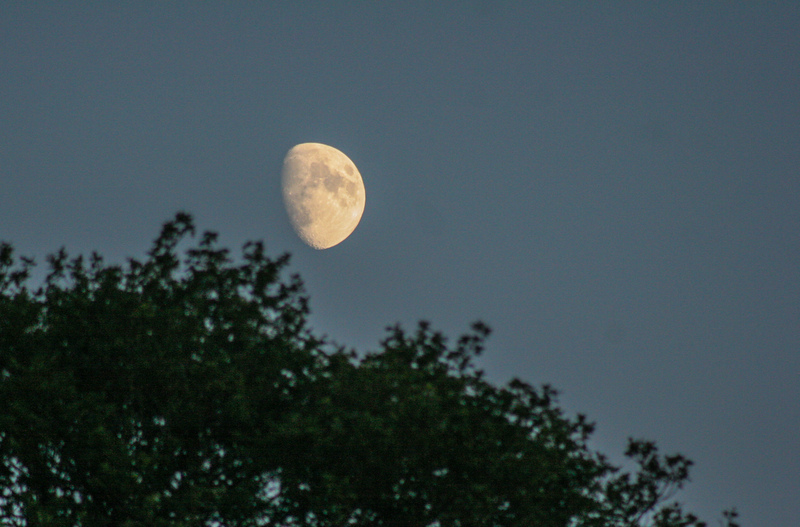 Early evening moon rising. Hunterville. 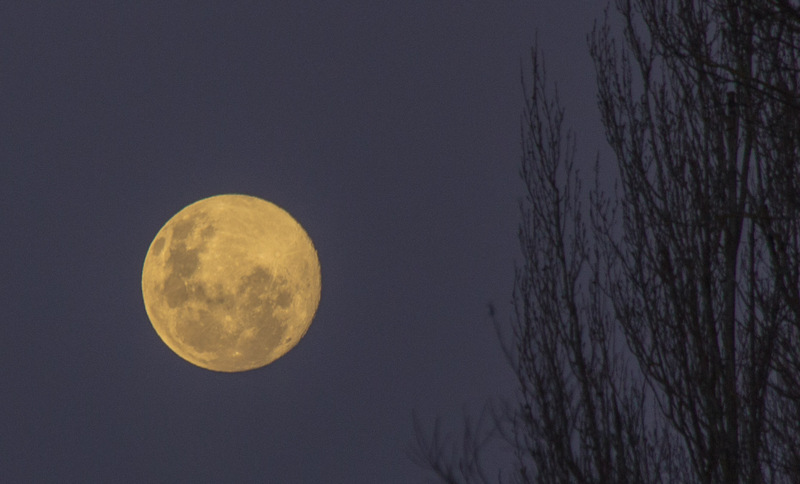 Same moon, a bit earlier. 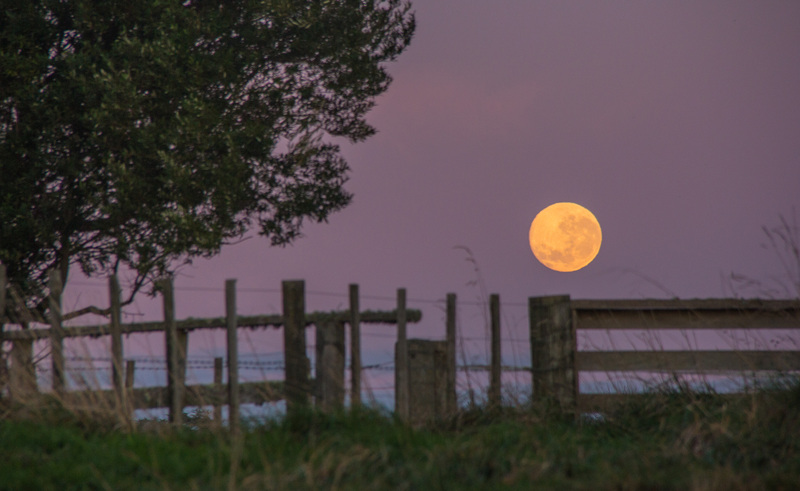 Misty moon. Ok I’m stretching the other stuff in the frame here as the other stuff is just mist. Hunterville. 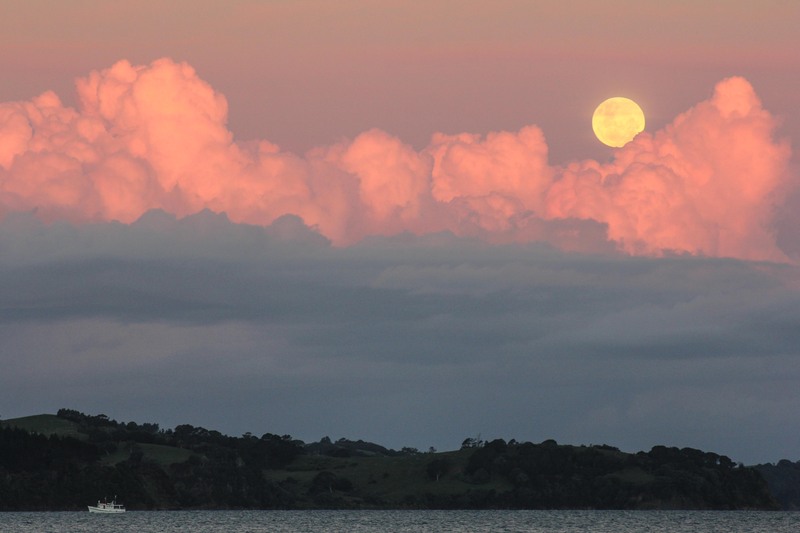 Amazing clouds and full moon. Kawau Bay. 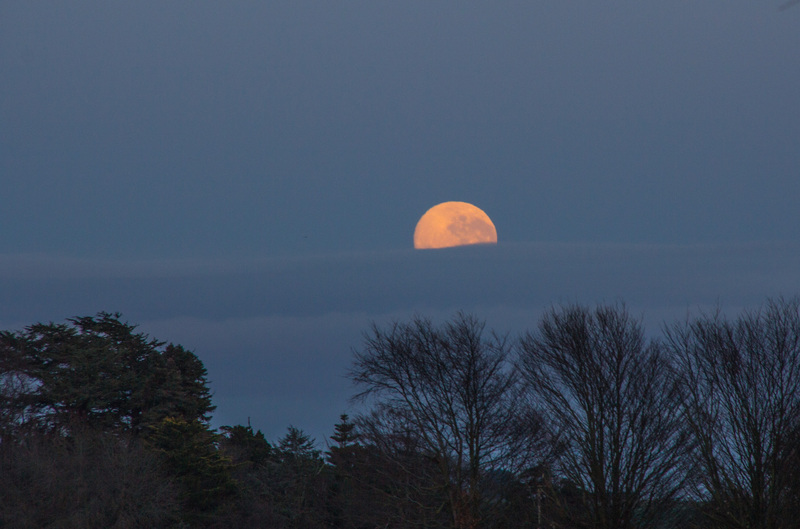 Moon sinking into the clouds, Rangitikei at dawn. Yachting by moonlight. 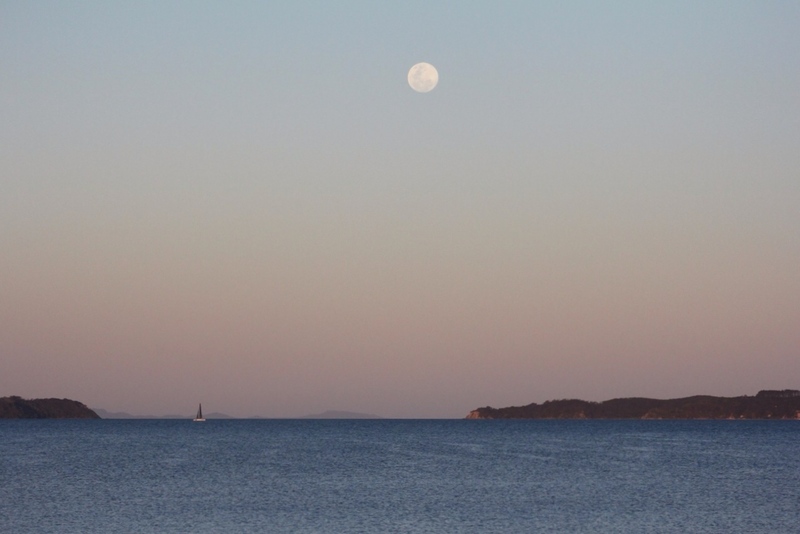 Kawau Bay at Dusk. 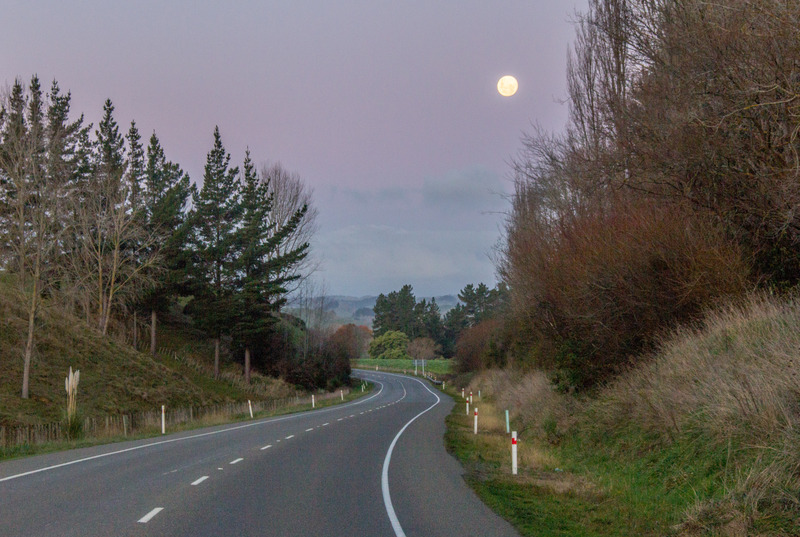 Moon rising over State Highway One. Near the Vinegar Hill SH54 turn off. Let’s face it, this looks like the end of the world. 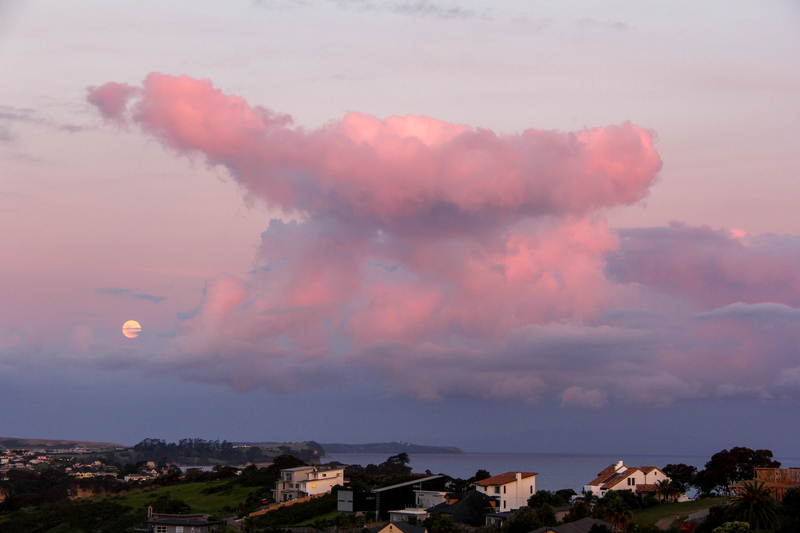 Amazing clouds with accompanying moon over Whangaparaoa Peninsula. One of the best things about New Zealand is how easy it is to hop in a car and go. Driving from A to B in New Zealand is generally a pleasure rather than a mission as it can be in so many countries overseas. I say generally because while the roads outside Auckland are mostly empty, the roads in Auckland are not. Still, this is about the wide open spaces beside the road in the central bit of the North Island. Time to hit the road…. That’s a road, there’s a speed limit, see? A bit of driftwood beside the road at Himatangi, the beach is a road remember? From beside the Manwatu River Estuary. It’s Whitebaiting season. There’s one. A Whitebaiter that is. Don’t think it’s Beaver. You know what that is? That’s an unremarkable view from the side of the road in New Zealand. I bet nobody has ever taken this photo before. Old barn, farm paddocks and the Ruahine Ranges. Stark light, morning tea time. The light was rubbish, photographers would say don’t take photos in this sort of light. I don’t care. Looking south down the Waikato River from the Glen Murray Bridge. I have no idea if that’s the name of the bridge, but that’s roughly where it is. Road trip south, Eastern side of of Lake Taupo, SH32. 1st sighting of the Volcanoes of the central plateau. Lake Taupo is actually a giant volcanic crater, still, looks peaceful enough today. Classic Kiwi Road Trip shot, from beside the Te Ponanga Saddle Road. Which is a cool name for the road from Turangi to National Park, SH47. Lake Rotoaira, looks beautiful, it is. Mt Ngauruhoe is about to disappear under the clouds. Finally, this is also a photo I’m confident nobody else has ever taken. A paddock and some trees beside the road half way between Palmerston North and Himatangi Beach. I think it’s the sky that carries it though, to be fair.